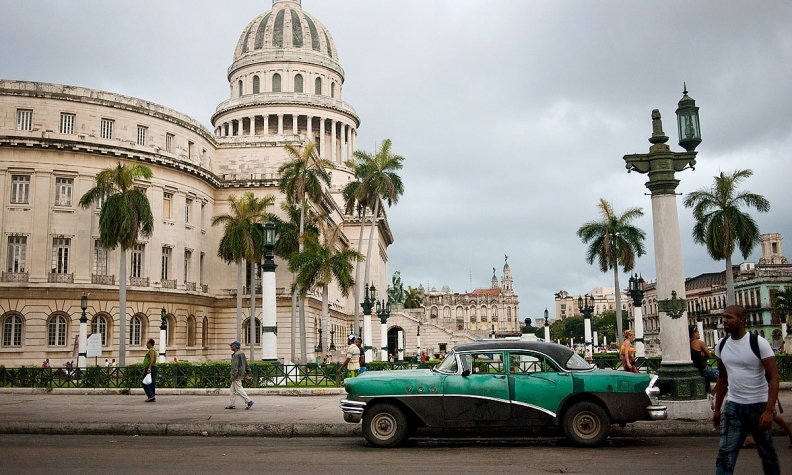 A car sits outside the old Capital building in Havana, Cuba, in June 2012. 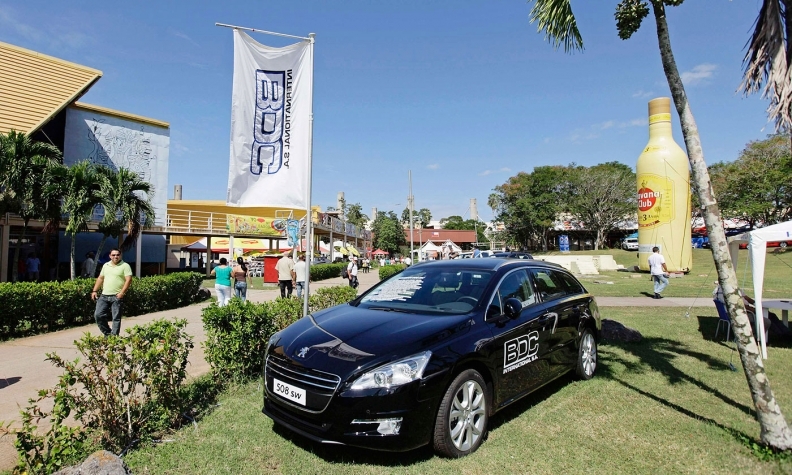 The Cuban state still maintains a monopoly on the retail sale of cars. Newer car models are largely in state hands and sold used at a relatively low price to select individuals, for example, Cuban diplomats and doctors who serve abroad, then often resell them at four or five times the price. The new measures, which will be implemented “gradually,” will set a minimum price for auto sales, which the government can tax to help pay for better public transport. "It took me months to get a famous letter of authorization to buy a car after going on two international missions, and I had to see a number of people," said Antonio, a doctor who asked that his last name not be used. "Now it will be much easier to buy a car, and this eliminates the corruption that regulations and controls always spawn." There are now tens of thousands of small private businesses in Cuba, and thousands of farm, construction, transportation and other types of cooperatives, all of which should benefit from the new regulations. Many Cubans who receive money from relatives living abroad should also be helped. "Of course this will help us," said farmer Jose Cuesta, a member of a cooperative in central Camaguey province. "We have members who want to buy a Jeep or pickup truck, and now they do not have to wait for authorization from anyone," he said in a telephone interview. Bert Hoffmann, a Cuba expert at the German Institute of Global and Area Studies in Hamburg, Germany, said the measure was a positive step, but state prices would be high due to a lack of competition. 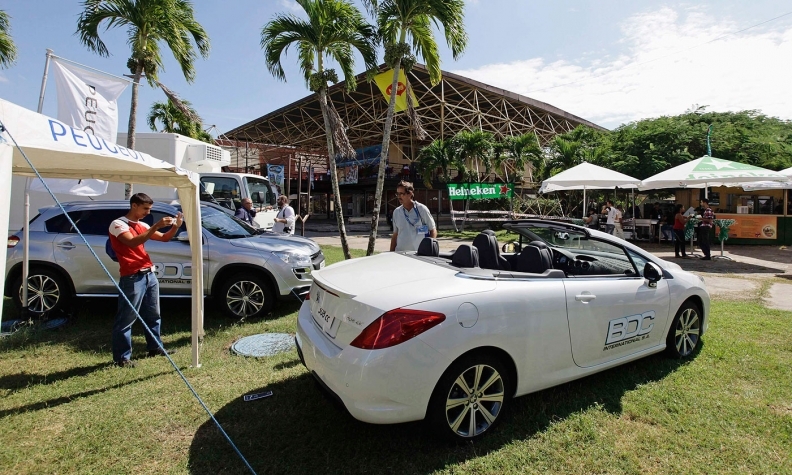 A new Peugeot on display and for sale at Havana's International Fair in November. "The state monopoly on retail remains sacred, and this means high prices. If cars are for private use, these high prices function as an understandable 'luxury tax.' But as cars and vans are widely used for business purposes, these high costs also are a strong brake on more dynamic development," he said. Before September 2011, only automobiles that were in Cuba before the 1959 revolution could be freely bought and sold, which is why there are so many cars from the 1950s or before, most of them American-made, rumbling through Cuban streets. There are also many Soviet-made cars, dating from the era when the Soviet Union was the island's biggest ally and benefactor. Newer models are largely in state hands and sold used at a relatively low price to select individuals, for example, Cuban diplomats and doctors who serve abroad, then often resell them at four or five times the price. Cubans and foreigners still need government permission to import a new or used car, a regulation Granma said was not been lifted. The new regulations will be published in the official Gazette in the coming days and become law 30 days later. They were expected to include stiff taxes, currently 100 percent for new cars, with the proceeds going to fund the country's decrepit public transportation system, Granma said.